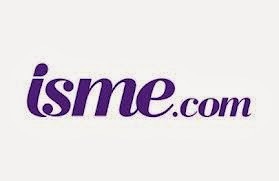 We're delighted to announce that we've been appointed by existing client Shop Direct to handle the advertising account for their isme brand, following a recent competitive pitch. There's no time to waste, as we're working on an exciting advertising campaign for Spring/Summer 2014.
isme is primarily targeted at 50+ women and will see us partnering with their brand ambassador Carol Vorderman in this campaign. It's been fabulous news for our work for Shop Direct recently, and here's to continuing with new work on another great brand. Welcome to the family, isme!